Following last week's decision to require communications consultants who work with politicians to register as lobbyists, the state's Joint Commission on Public Ethics is looking into the role social media plays. NEW YORK: Just days after expanding the definition of lobbyist to include some PR professionals, New York regulators are asking to what extent social media use could be considered lobbying. The New York State Joint Commission on Public Ethics has posted a solicitation for comments from the public on its website. "Lobbyists are increasingly turning to social media to carry out their efforts," it said. "In light of this, the Joint Commission is considering issuing guidance to provide clarity on when social media activities constitute reportable lobbying." Three parties had filed comments as of press time. The Joint Commission is planning to accept feedback until February 19 when the body will draft a proposal that could establish lobbying guidelines that include social media activity. In its solicitation of comments, the Joint Commission asked the public whether social media constitutes direct lobbying, and if communications must be made directly to a public official, such as via his or her social media pages, to be considered lobbying. It is also asking what constitutes grassroots lobbying, whether statements made by a member of a group can be considered statements on behalf of an entire organization, and about the impact of reposts or retweets. The state body is also considering whether posts or tweets with hyperlinks to lobbying websites are reportable activity, and whether social media expenditures can be considered expenses under the Lobbying Act. The solicitation was released after a 10-3 vote on January 26 by the body to treat political consultants’ contact with members of the press as lobbying. Consultants and their clients must disclose communications with the media and government officials in the state, as long as that communication intends to influence, according to the recommendations. The PR Council, as well as organizations representing the media and civil liberties groups, harshly criticized those guidelines, saying regulators overstepped their authority. Industry groups said the Joint Commission does not understand what PR agencies do. A spokesman for the Public Relations Society of America said the group plans to discuss the solicitation at its board meeting on Saturday. "The manner of our specific response and involvement will be fully vetted and a path forward will be determined and communicated fully to all interested stakeholders following that discussion," said a PRSA spokesman. The group came out vehemently against the January 26 guidelines. 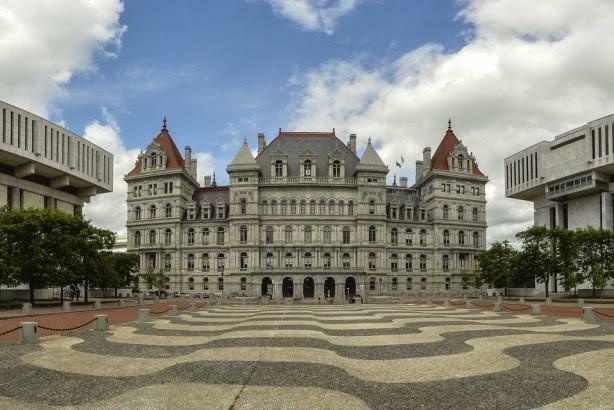 Three groups have already posted comments — Citizens Union of the City of New York, New York Advocacy Association, and comments filed by the law firm, Wilson Elser.